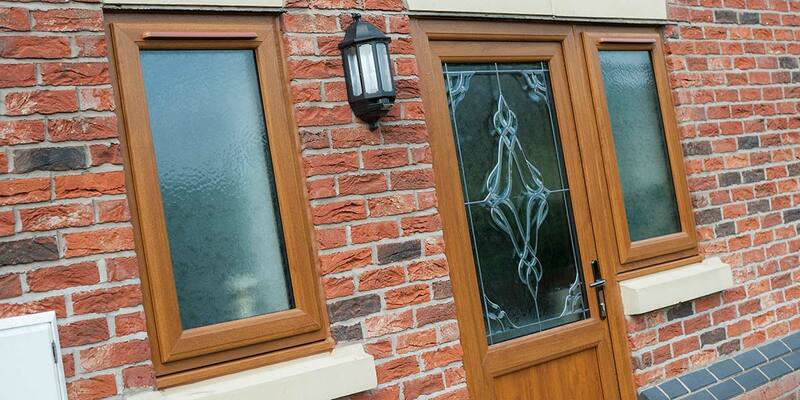 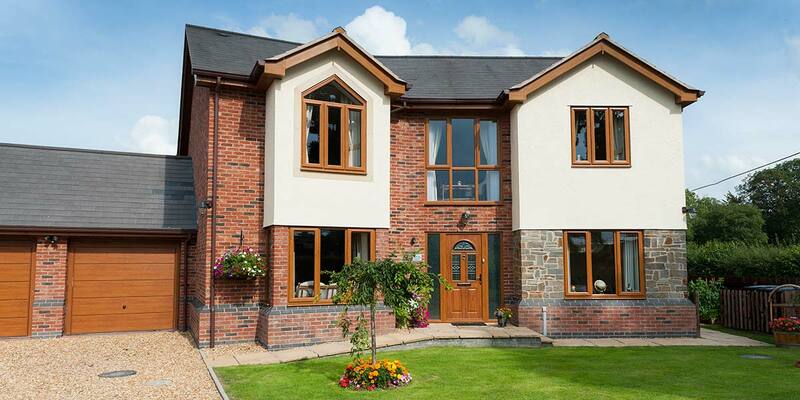 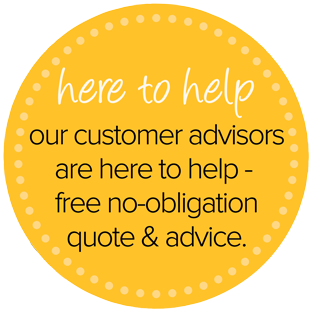 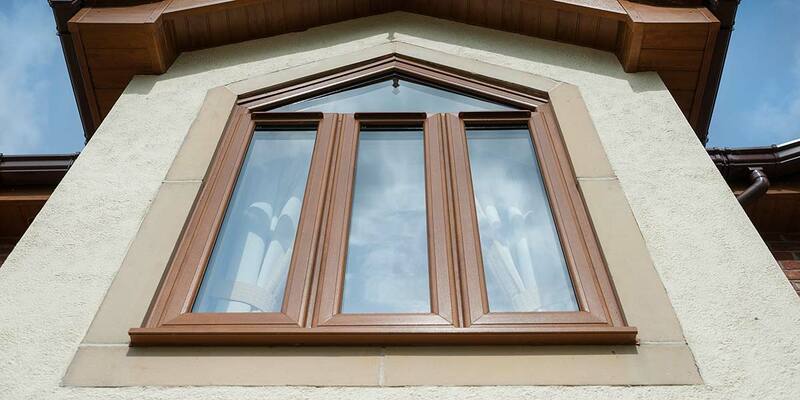 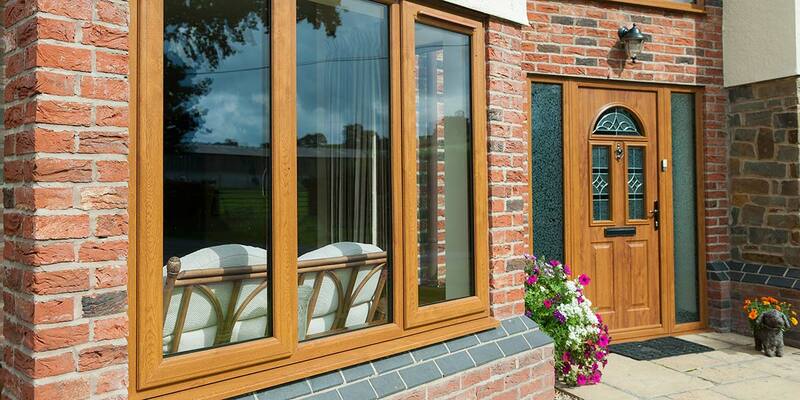 Prefer to replace your windows with UPVC that look exactly like wood but outperform them? 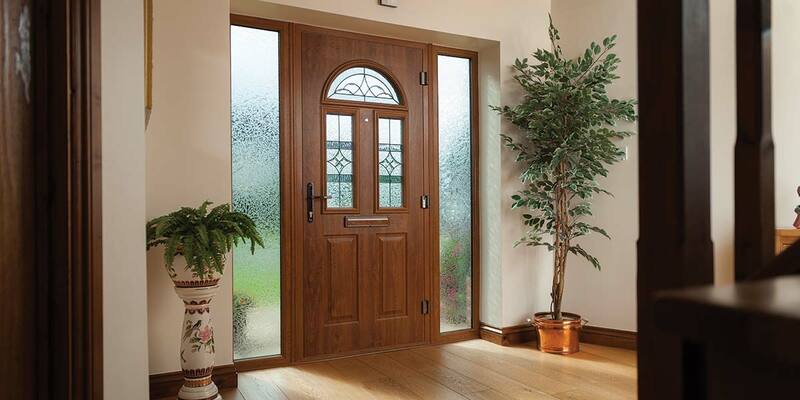 There’s absolutely no denying that timber crafted windows and doors are exceptionally pretty, but they only remain that way if you dedicate hours of upkeep to preserve their appearance. 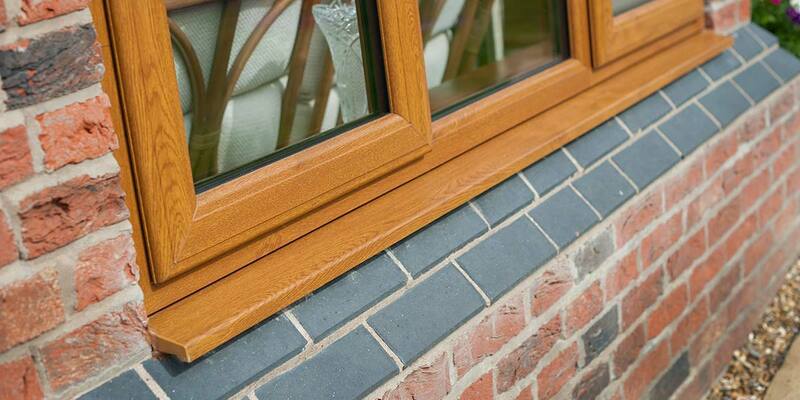 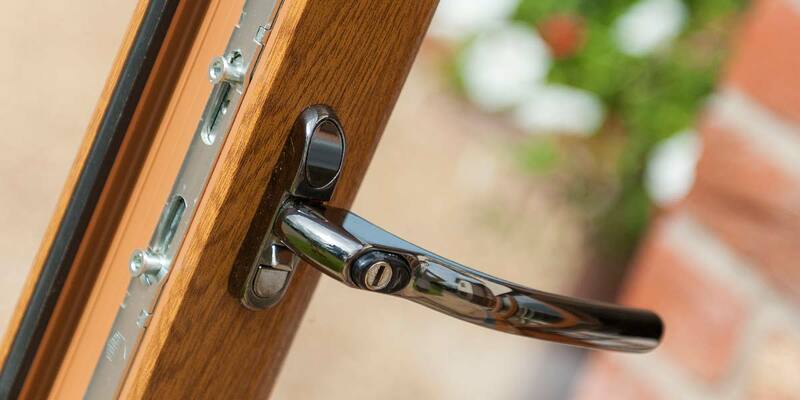 No maintenance is ever necessary if you exchange timber windows and doors for woodgrain effect UPVC windows and doors, only the odd clean with a wet cloth. 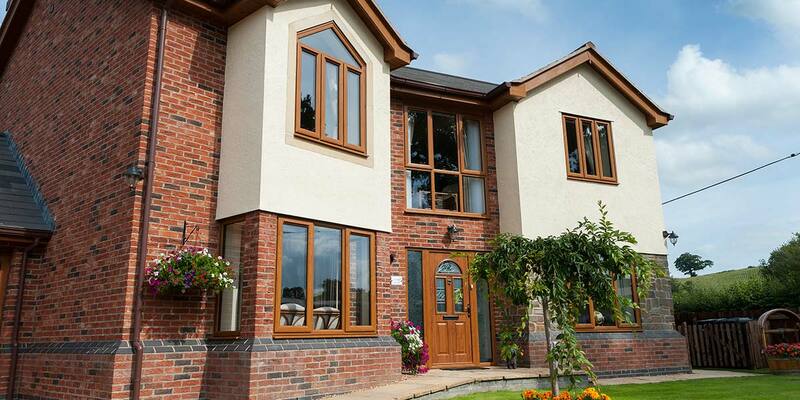 That was a key selling-point for this householder who purchased woodgrain effect windows and doors coloured in a Golden Oak finish. 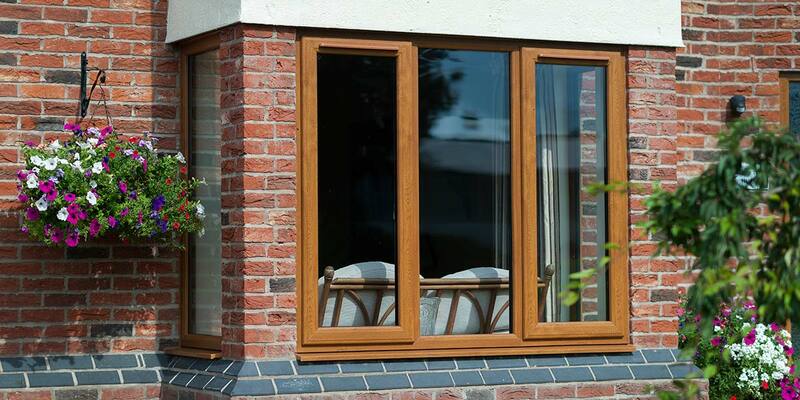 You could place them side-by-side wooden windows and doors and you will barely notice a difference. 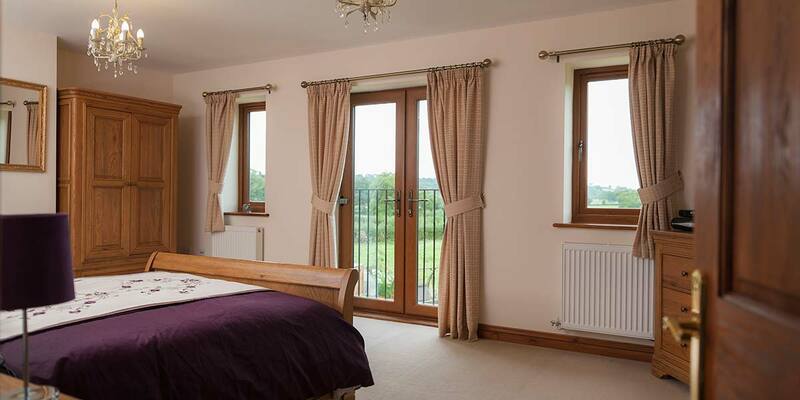 The views offered by the new French doors in the bedroom will be enough to make anyone leap out of bed every morning. 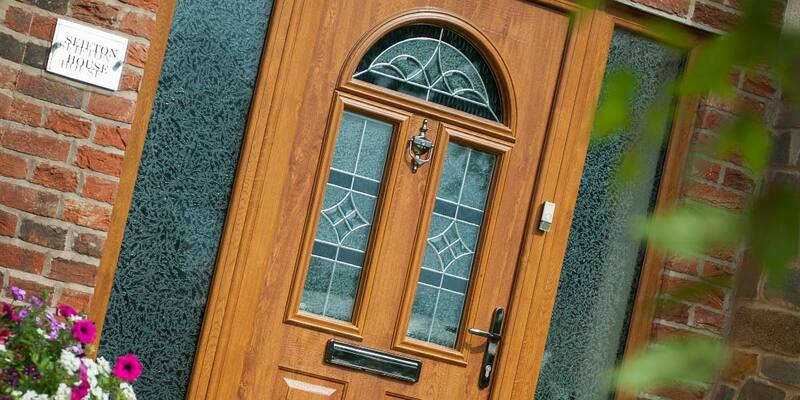 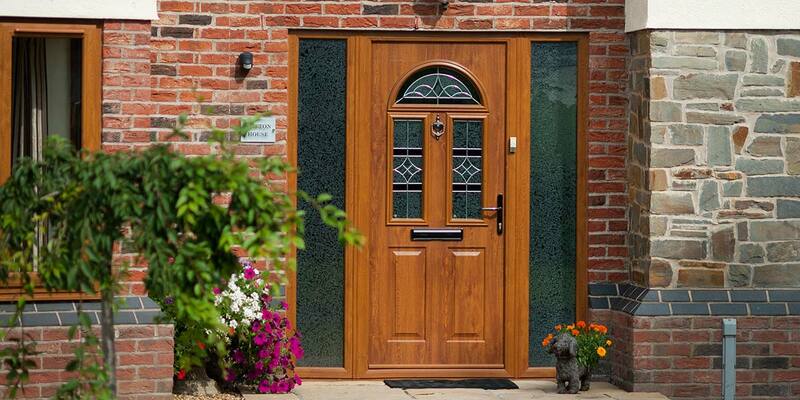 Attention has also been paid to the entrance into the house where a new composite door sits proudly. 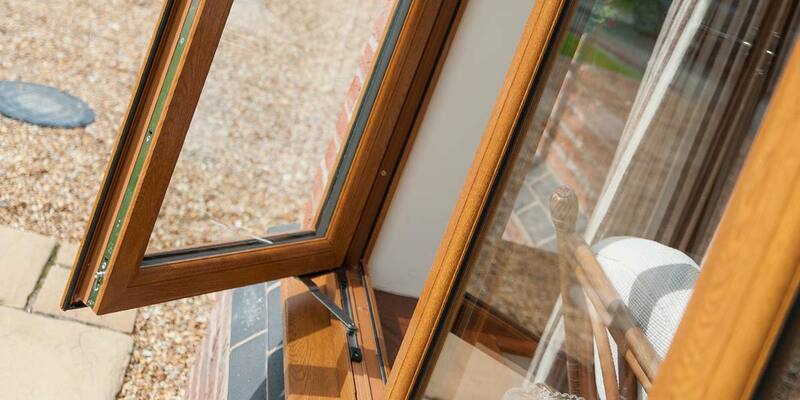 Only when you get close up to the window frames do you realise just how alike it is to timber. 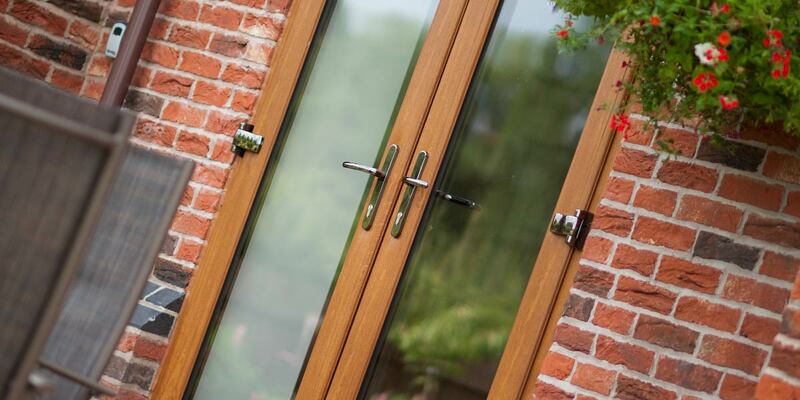 An additional set of French doors have been fitted at the back of the property to make entering into the garden a constant thrill – they will wonder how they ever coped without them. 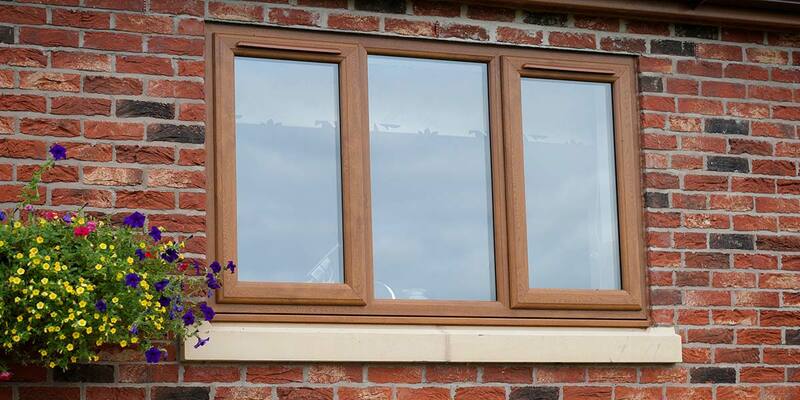 Last, but certainly not least, take a look at the made-to-measure window on the upper floor. 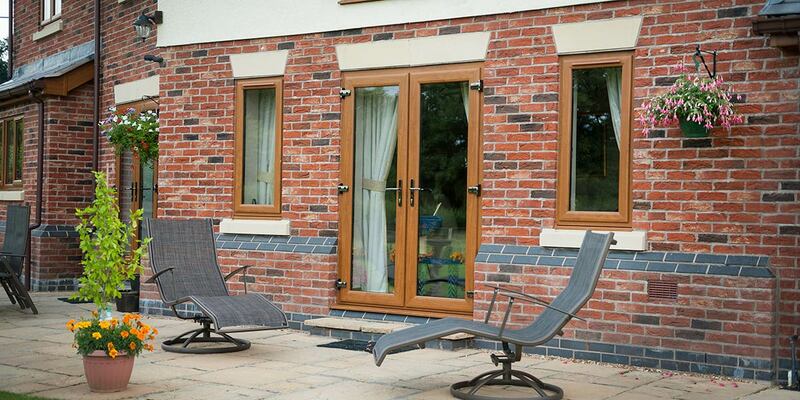 Our designers slaved over its design to ensure that it could be inserted into the unconventional aperture with ease.